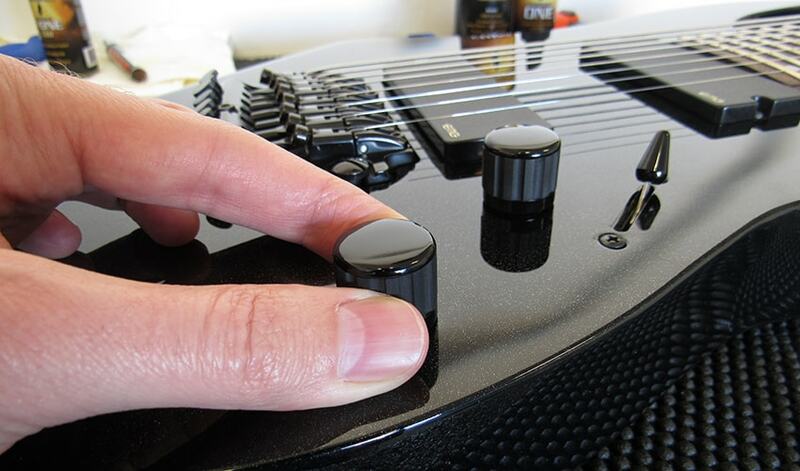 Removing a guitar knob is pretty easy, right? You’ll look for a little screw in the side of the knob, or if you don’t find a screw then you assume you can just yank that sucker off there, right? Actually, the vast majority of guitar knobs are indeed one of the two types I just described: they either fasten with a little screw, or they can be pulled off (like a Stratocaster) with a little elbow grease. 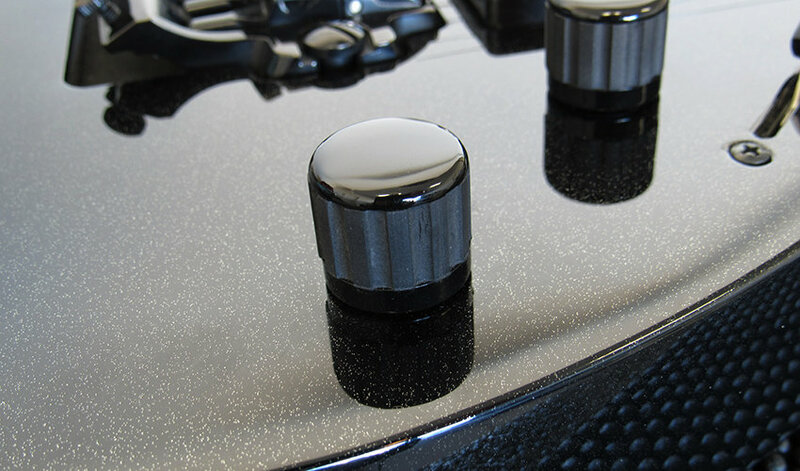 However, there’s another type of guitar knob–called a collet knob–that is neither a press-on knob nor does it fasten with an obvious screw that’s accessible from the outside. 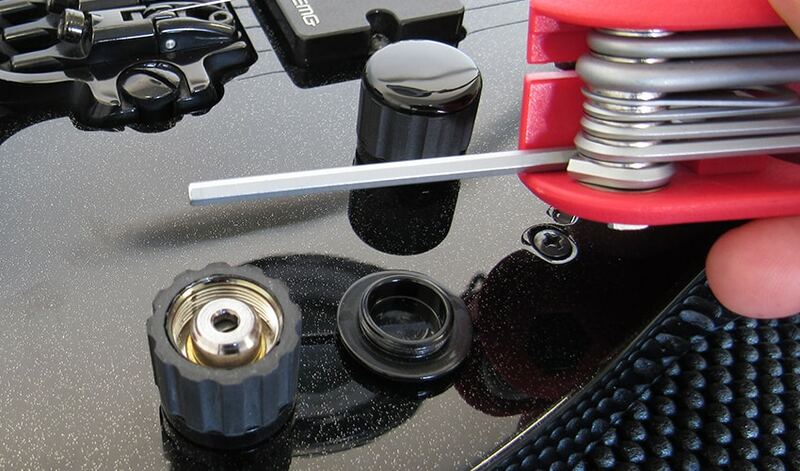 If you’ve never encountered a collet-style guitar knob and, in your ignorance, try to yank it off, you run the risk of damaging your pot, your guitar, or both. I speak from personal experience here. So what does a collet knob look like? Well, they look like any other guitar knob really, but are usually beefier and higher quality than your average guitar knob. Many times, they’re some combination of metal and rubber. 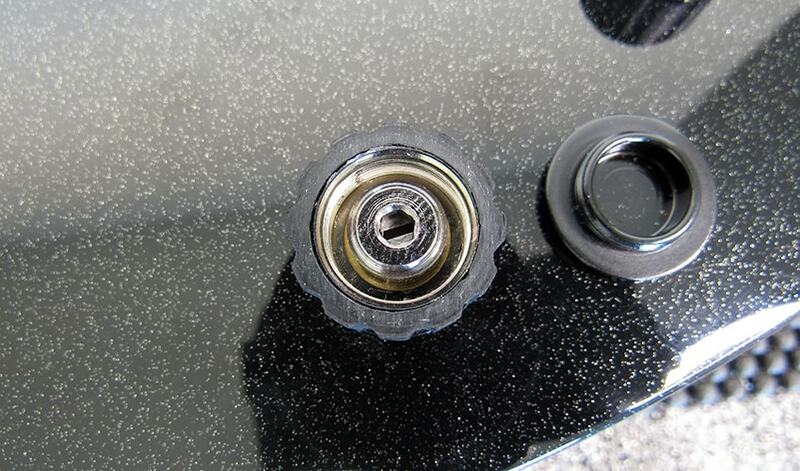 Here’s a photo of the collet knobs on my Ibanez RG2228 Prestige. As you can see they’re a bit fancier than most all-plastic or all-metal knobs. These have a nice grippy rubber wrapped around an otherwise all-metal knob. Nice, premium quality knobs, but they’ll drive you mad if you decide to change them and don’t know how the heck to remove them. Using my Ibanez RG2228, I made a short video demo of how to remove a collet-style guitar knob. It’s quick–only about 3 minutes. If you watch this video, you’ll be all set; no need to read the step-by-step instructions below it, unless you really want to. For those who can’t (or don’t want to) watch my slick video, here are the step-by-step instructions in old school words and photos. 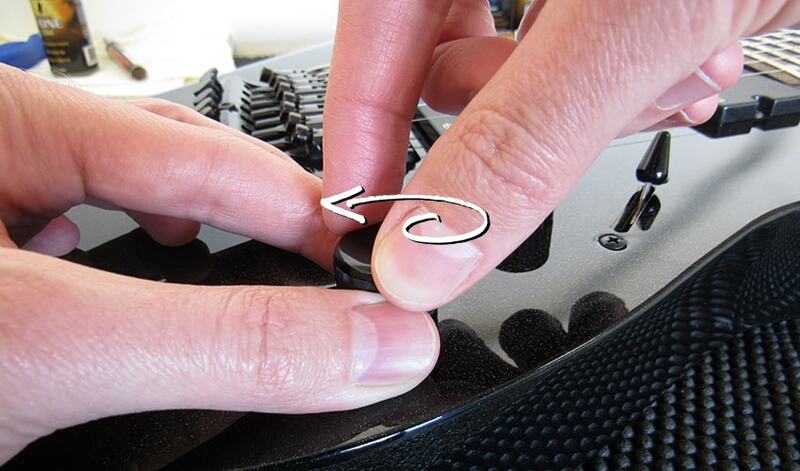 Use your thumb and index finger to hold the knob steady and prevent it from turning in either direction. You’ll see why this is necessary in the next step. Imagine this collet knob is a tiny jar of peanut butter, and the metal cap is the “lid.” Use your other hand to unscrew this cap by turning it counter-clockwise while you hold the knob with your other hand to prevent the rest of it from spinning. This might take a decent amount of effort, but keep at it until it begins to loosen. Be sure you don’t accidentally press downward as you’re trying to remove the cap. You don’t want to put undue pressure on the pot. That’s not a flat-tip screw you’re seeing down in there. That’s just the split-shaft of the pot. You actually need a hex wrench to get in there and finally remove the knob from the shaft. 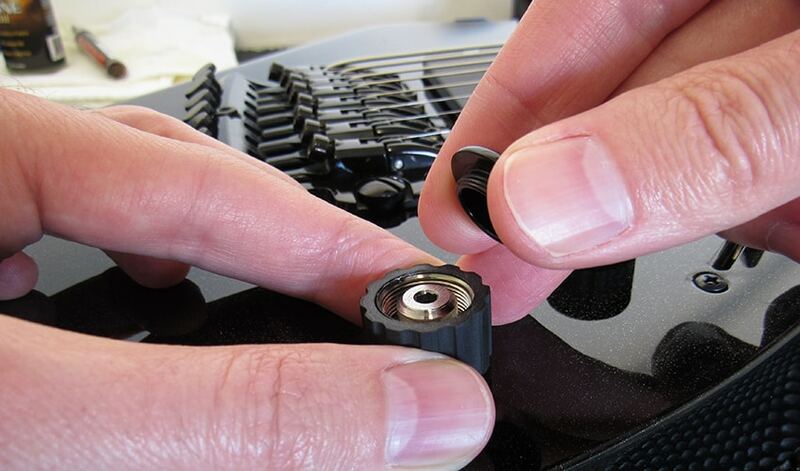 My Ibanez collet knob requires a 3mm hex wrench. Yours may be the same or different, so use whichever size fits your particular knob. It will most likely be somewhere around 2.5 or 3mm. 4. Hold the knob to prevent it from spinning, insert the hex wrench and turn counterclockwise to loosen the clamp. Holding the knob steady with one had, use your other hand to turn the hex wrench counterclockwise. 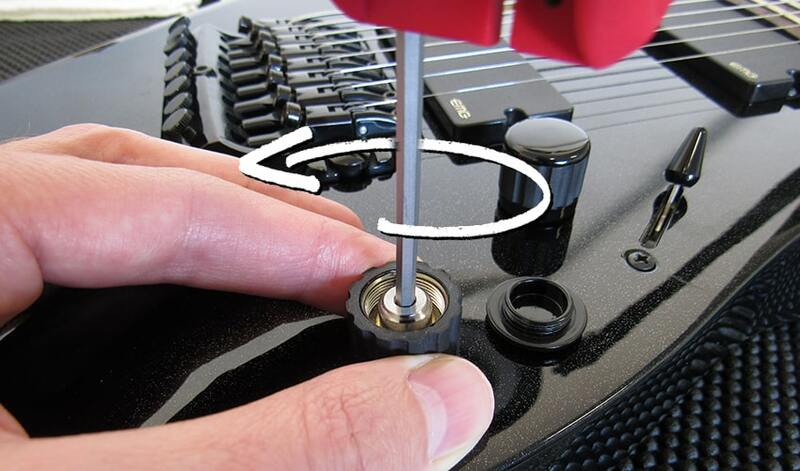 You’ll feel a little resistance at first and the knob will try to spin between your fingers, but eventually the little internal clamp will release and your hex wrench will begin to spin freely. 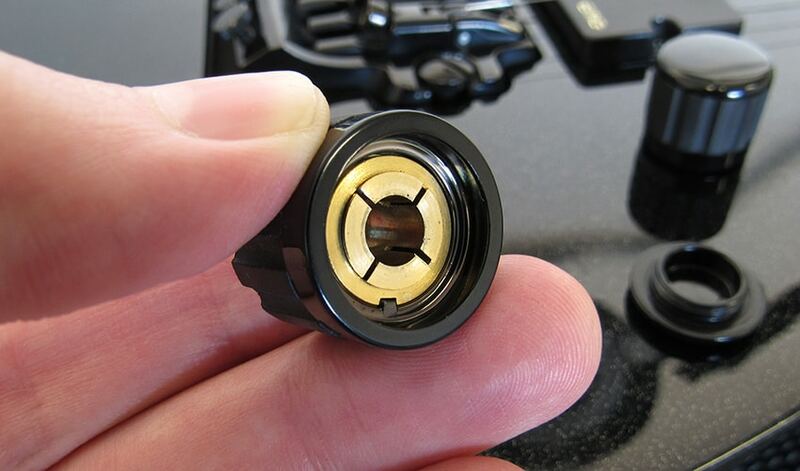 You’ll feel the clamp come free underneath your fingers, and at that point you can simply lift the collet knob right off. That’s all there really is to it. 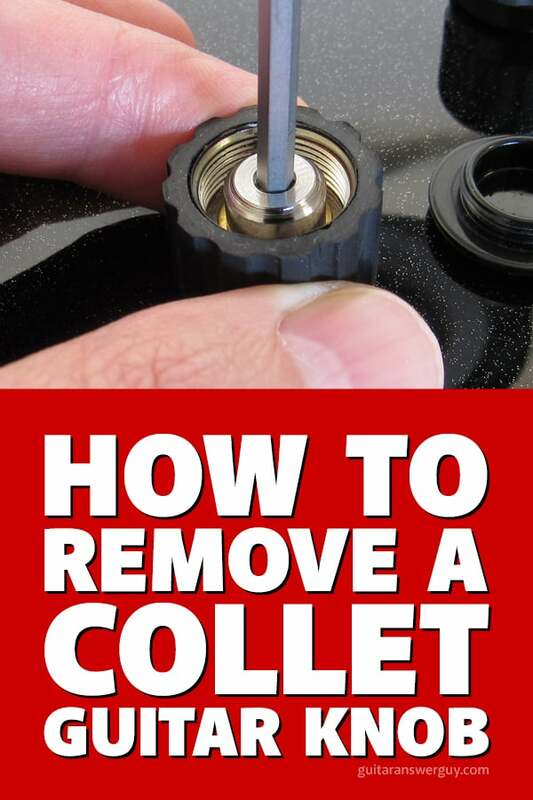 It’s very simple if you know you’re dealing with a collet knob. So, the next time you decide to change a guitar knob and can’t find a tiny screw to loosen, see if you can’t unscrew the top before you assume it’s the type of knob you just pull straight off. 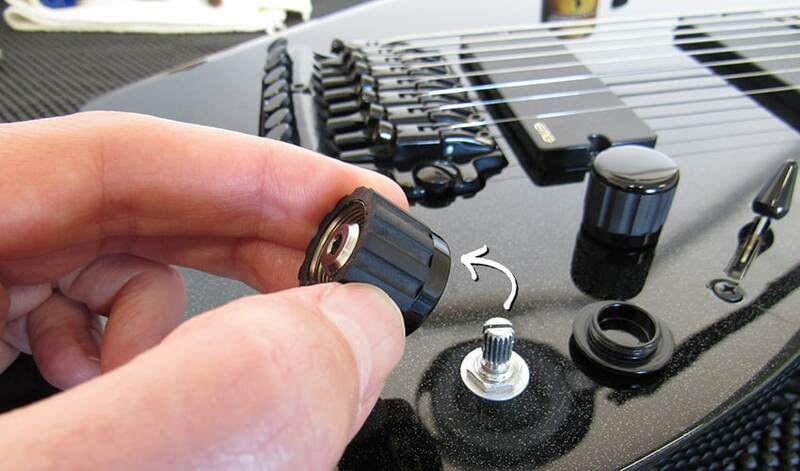 That’s a great video clip and believe it or not, I’ve never run across this type of knob before–I guess mostly because the guitars I built I mostly used the ones with set screws, and while I’ve repaired and worked on many guitars including Ibanez, I’d never encounted them. 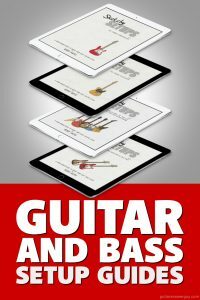 Thanks for posting this–you’ve saved a lot guitar owners some real misery–two thumbs up! These knobs do indeed seem to be rare. 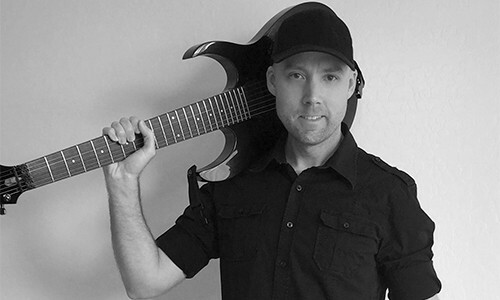 In fact, I’ve ONLY encountered them on my Ibanez guitars–and only a couple of them out of dozens that I’ve owned over the years. Thanks for the video compliment. I’m still not 100% comfortable doing video, but slowly building up to it (I didn’t even speak on my last video). You’re welcome Craig. Hopefully the info serves you well in the (unlikely) even that you come across one of these guys. I’d never encountered them until Ibanez started putting them on some of their Prestige models. Wow ! That’s awesome and very helpful, Bobby! Thanks for this video tutorial and helpful heads-up about these! Hi Kevin! Unless you have some Ibanez guitars, it’s doubtful you’ll find them on any of your guitars… but you never know! Not really something you need to worry about per-se, just something to be aware of if you ever need to remove your knobs for some reason.